$55.00 per team Early Bird Registration Fee if registered by March 5, 2017. $65.00 per team if registered after March 5, 2017. 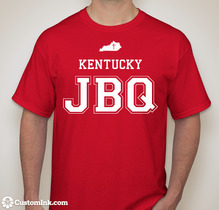 Click here to order shirts! 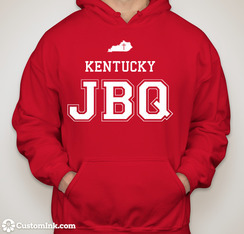 Order deadline is March 16th! Colors: Royal Blue, Red, and Purple. 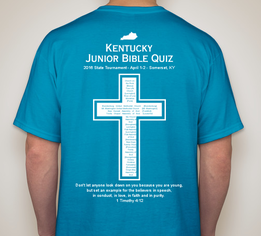 Use group name “Junior Bible Quiz” when registering. Reservation must be made by March 18th. Use group name “Somerset Christian School” when registering. Reservation must be made by March 10th. Use group name “Victory Christian Fellowhip” when registering. Reservation must be made by March 25th. Lunch will not be provided at the tournament site. Participants will need to either bring their lunch or go off-site to purchase their lunch. Photos will be taken to produce a slide show for purchase at a nominal fee. Therefore a model release form for each quizzer must be filled out and signed by their parent or guardian. No quizzer will be allowed to participate without a signed model release form. Forms are to be turned in at team check-in on Friday evening.